But now that it’s winter once again I’m allowed to go back to my little indulgence. Last year I did things the “cheater” way and used milk and chocolate chips, but this year I wanted to come up with something even easier so I could just warm up the milk. Thus the invention of this super simple homemade Hot Chocolate Mix. With just 3 ingredients it’s easy to make up the mix in a hurry, and then when you are ready for a glass all you need to do is simply add it to milk and your hot drink is ready to go. **If you are avoiding all sugar you can replace this with honey or maple syrup but for obvious reasons you won’t be able to add that to the mix. In a blender, add the cocoa powder and turbinado sugar. Blend until the sugar is powdered. Add in the salt and place in a jar, container, or bag for storage. 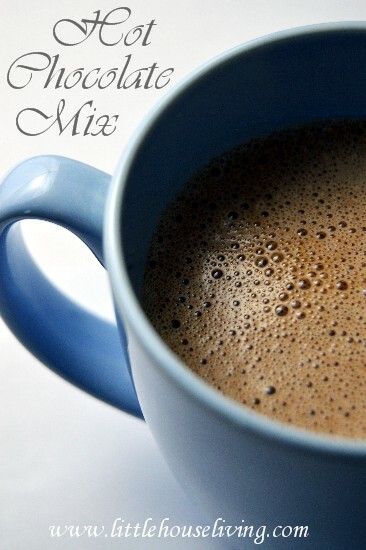 When you are ready to make your mix, add about 1 heaping tablespoon of the mix to 1 cup of hot milk. This mixture will make at least 12 cups of hot chocolate. If you want to make more at a time, simply double the recipe. If you are dairy free, this recipe will still work great for you! You don’t need to change the mix recipe but you can add it to warm coconut milk instead of dairy milk. Need another yummy hot drink this winter? How about a mug of Mulled Apple Cider? Now excuse me while I enjoy another yummy warm glass of Hot Chocolate! 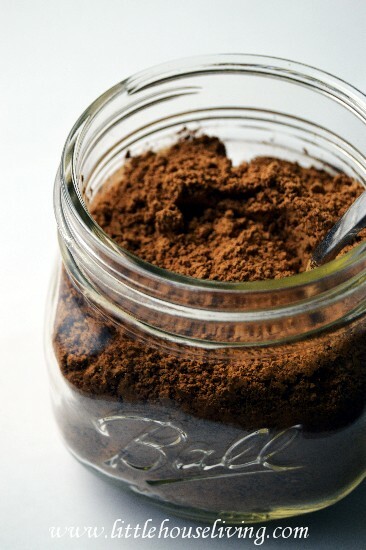 How do you make your own homemade hot chocolate mix? I use the same type of ratio of ingredients, except my recipe called for powdered sugar. But last year I experimented and used 16 packages of truvia and have to admit, it’s really good. I try to watch sugar, even succanat and coconut. Sometimes, to make it really creamy, I put a 1/4 cup of white chocolate in the food processor with these ingredients. Fun to use flavored chips like those Andes mint ones to and make a different cocoa mix for gifting. This is absolutely brilliant and so timely! I just went to Target yesterday to find a hot chocolate that did not contain corn starch, corn syrup, corn parts, etc. (corn starch allergy) and only found 1 type. When I tried it, my heart started to race… It had 23g of sugar per serving! Ouch! Needless to say, I was at my wits end… but then you posted this and it’s PERFECT! Everything is already in the house and now I know you need to blend the sugar and cocoa in order to get it to work. No allergies and no sugar coma! Awesome! Thank you! How does it mix with the milk? I typically mix my cocoa/sugar mixture into a tiny bit of water before adding the milk. Otherwise, I end up with a lot of little lumps of cocoa, but I’m wondering if powdering it in the blender somehow fixes that problem? We didn’t seem to have trouble with it, but I mixed it with a little whisk to make sure it doesn’t make clumps. This is essentially the same recipe that I’ve used since I was a kid…only back then, it was white sugar so no blending was necessary. I got it from my first cookbook when I was about 8 years old—so quick and easy! After having this, pre-made powders taste fully terrible!! I mix my cocoa/sweetener with a tablespoon of milk while the rest of the milk is warming. 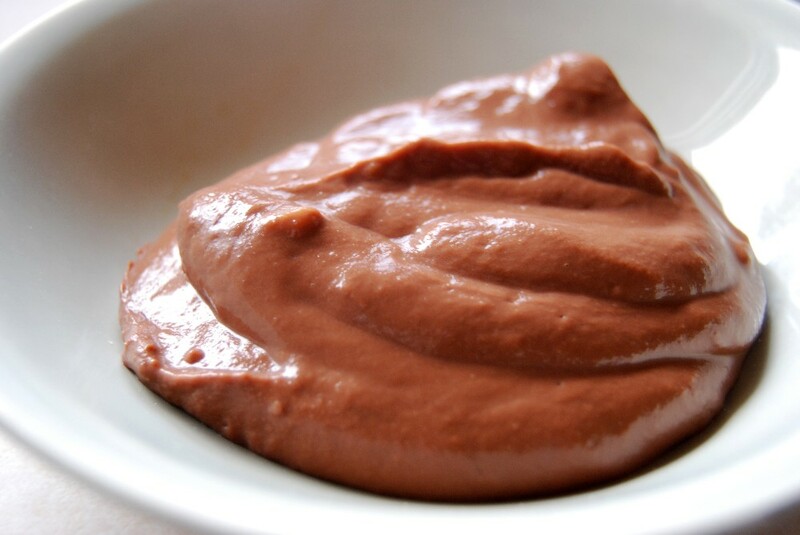 It makes a chocolate-y paste that dissolves smoothly in the warm milk. You can use maple syrup you just need to store it in the fridge. I heat up some water and maple syrup so the cocoa powder will dissolve nicely and then I add some vanilla extract at the end. It can be kept for about a month but it never lasts that long. 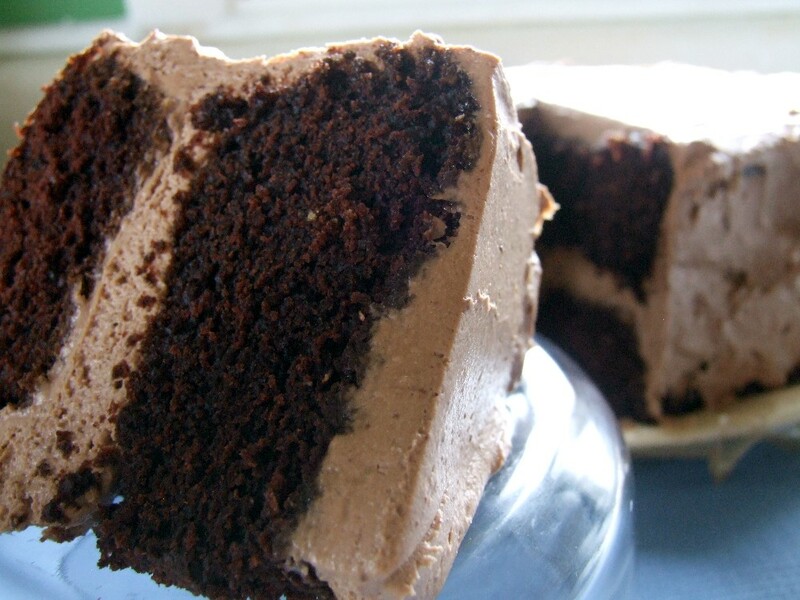 This way you have it for hot and cold chocolate and also to drizzle on ice cream! 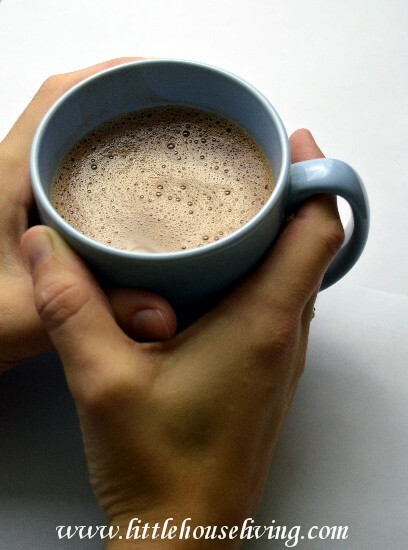 No need to stop drinking hot chocolate in the summer, just make it the night before, put it in the refrigerator and enjoy it cold. I think the flavors are more developed and the chocolate is richer when its cold. I love how simple it is to put together and whip up a fresh cup! I have been making hot cocoa with k-cups, but this looks just as quick, and I bet it tastes better with real milk… plus no additives or preservatives to the mix. Yum! 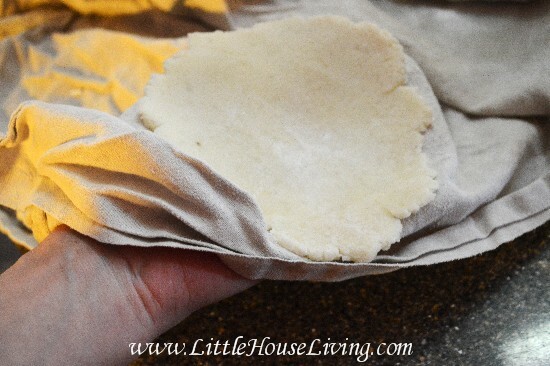 If you add a little tapioca flour to this, it will give it that cream, store bought consistency. If you use regular sugar, how much would you use? I’m not very familiar with succanat or turbinado sugar. Yes, this is a wonderful hot chocolate mix. I add powdered milk to the mix but still use fresh milk instead of water when making a cup. Yummy! Thank you for posting as I had forgotten the recipe. 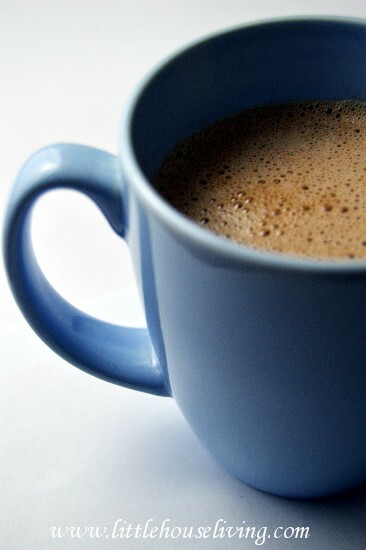 I want to thank you for the website, I”m sugar and dairy intolerant, have a difficult time finding something to eat and welcomed your recipe for hot choc, I added tablespoon of instant cofee granules, and cinn for a cappuccino early in the morning to warm me up. Has anyone used Domino Light or stevia? Linda I use Truvia to sweeten my hot choc, being fructose intolerant I have to be very careful on using the correct sweeten. It works just fine just follow your direction on sugar a little goes long way. Just made this and its really good! I made 2 batches, one sugar free made with splenda and one batch with sugar. I also added an envelope of powdered milk per batch and still use fresh milk to make it, its so creamy and frothy. Thanks! My 2yr old and I just made this after coming in from cleaning up the garden. We loved it! I always made my own mix since I don’t want to feed my family hydrogenated oils in their cocoa (why is that in there?!) but never thought to blend up the sugar. Makes a big difference, thanks for the tip! This is such a great idea. We found you on the Sumos Block Party Link up. We wanted to invite you to share this recipe at our link up as well. Yum! I usually just spoon cocoa and sugar in to taste without measuring, whisk and voila! This is sure Hot Chocolate weather, that looks so good! Hope you are having a great day and thank you so much for sharing with Full Plate Thursday! Please feel free to stop by and grab my button. 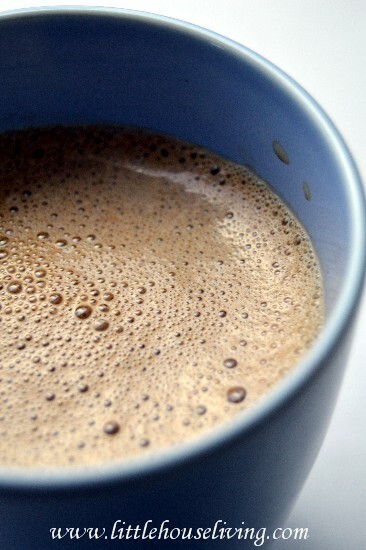 We drink a lot of hot chocolate during the winter months and this by far is a keeper recipe . I do have a comment regarding the use of Truvia. Even though it comes from the stevia plant( very small portion) it is not a healthy substitute for your sweetener . Was developed by Cargill Corp. for the Pepsi Corp. as a sweetner for their products. I did some research on this product and for me it had too many side effects to use . Just putting it out there so people can do there own research and are aware . I’m fructose and lactose intolerant, was told by my dietian to use truvia. I have mutiply BM’s could that be side effect of truvia? This is such an excellent idea. I usually simply spoon cocoa and sugar in to taste without measuring, whisk and voila! Oh, I never thought of using sucanat in hot chocolate. Sounds good. I love hot chocolate! I’ll have to try this recipe! Thanks for linking up at the Thoughtful Spot Weekly Blog Hop! We hope you stop by again next week! Thank you for stopping by and sharing with us at the Thoughtful Spot Weekly Blog Hop! You were featured as one of my favorites 🙂 Have a great week! 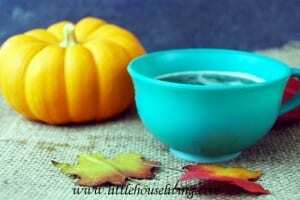 I found a pumpkin spice recipe for cappuccino for 2 seconds and then lost it! Can u help please? Hi Dianne, right now I just have a recipe for a plain Cappuccino Mix posted on the site. Sorry I can’t be of more help. love this recipe! So simple, and lightyears healthier than the store-bought version! It doesn’t work to mix it up ahead of time since I use honey and vanilla, but it doesn’t really take that much longer. The little packets are terrible, but this sounds lovely. Upgrade time! Oh neat! I like the idea of prepping a mix ahead of time. I’ll have to try this. Thanks, Melissa! Thanks for the recipe. I made a different recipe in the past. I think I will try this with Truvia. I really appreciate your site. Now that I am beginning to have more time, I am eager to try out these mix ideas!